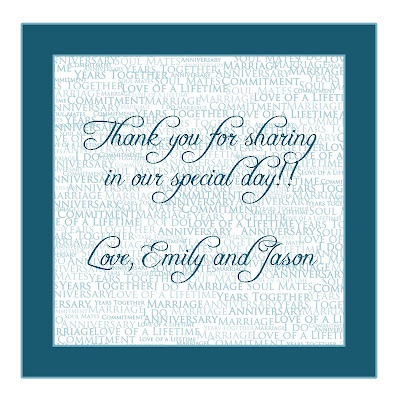 I just absolutely adore this cute little favor label that I created for Emily and Jason's upcoming wedding. They will be using the labels I printed for them to embellish the favor that they will be giving to each of their guests at their wedding reception. I just know that their guests are going to love it, too! !